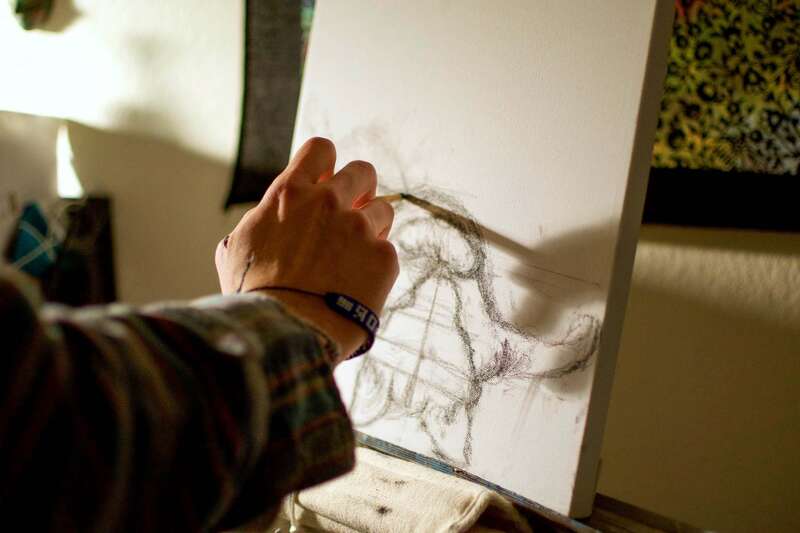 Artists from all walks of life can now find a place to call home in Cal Poly’s new art club: SLO Brush. 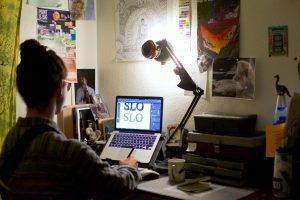 Created by graphic communication junior Javier Suarez, SLO Brush provides a realm for artists to come together and find inspiration. Suarez plans to teach a series of workshops and promote social activity amongst the group. While they don’t have a set meeting time yet, the club is open to all who are interested, regardless of skill level. “I want to create a welcoming environment for anyone to come and better themselves as artists,” Suarez said. Suarez collaborated with graphic communication sophmore Linnea Landgren to create SLO Brush. “I am hoping to help people unwind and open up their creative minds. I often hear people say that they aren’t capable of making art, and the way I see it that is not true,” Landgren said. Suarez grew up drawing, realizing his passion for the hobby during his high school career. Suarez said he loves the universal feeling of art and hopes the club will act as a creative outlet and de-stressor for people. Similar to Suarez, Landgren said art shaped her youth and became something she found solace in. The two have high hopes for the club, with plans for creative activities to make people more comfortable with self-expression. The club promotes the use of every medium, from throwing paint at a canvas to improving your technical artistry skills. “My favorite thing about art is that everyone does it differently. Making art is simple, whether you’re an engineer, a historian or a statistician, you have to believe in yourself and your abilities, and you cannot compare yourself to others,” Landgren said. The club will hold their first meeting Friday, March 9 in Business (building 3) room 113 from 2-3 p.m. with a sketching session from 3-4 p.m.